There was a beep and wondering what it was I glanced at the dashboard. Then I saw it – the light on the fuel gauge was flashing as the beeping continued. I was running on empty! Let’s face it, life is exhausting and if we are not careful we can find our lives running on empty as well. When I was a college student running on empty was characterized by late nights cramming for exams and subsisting on coffee to stay awake. When I was a new mom those late night feedings and babies who wanted to play instead of sleep often left me sleep deprived and exhausted. As my children grew older I was caught up in the rush of life keeping schedules and worrying about seemingly never ending demands on my time. In my empty-nesting years I often find myself exhausted by doing tasks that overtax my muscles and are better left for a woman half my age. Even Christianity can be exhausting! When we think of all the people who need to be helped, encouraged, taught, and ministered to, it’s no wonder so many Christians are tired. It is so encouraging to know that when I have nothing left to give physically and mentally, that God never tires and He gives me strength and understanding when I need it. 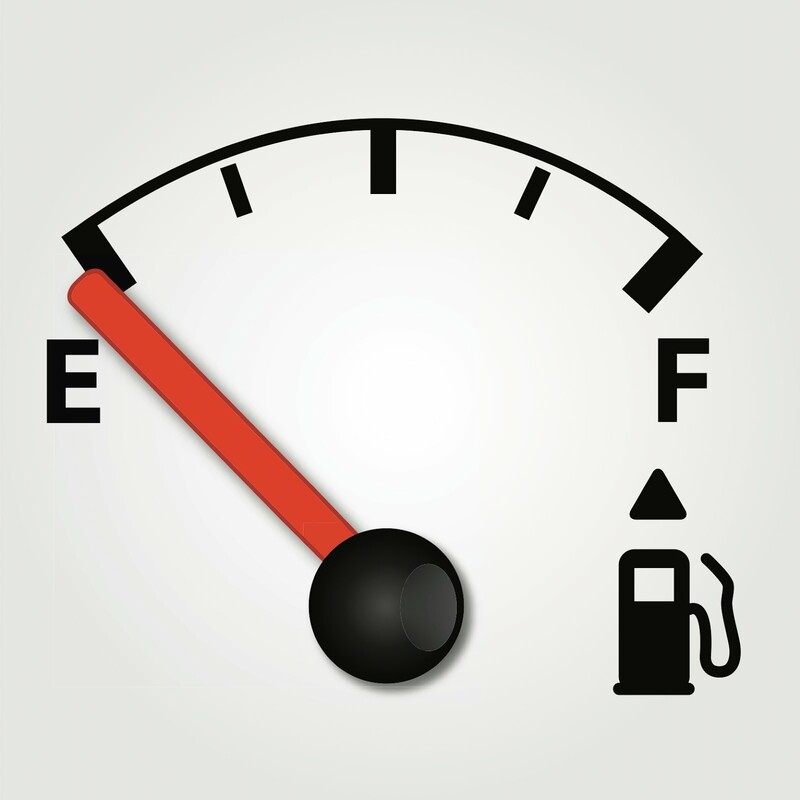 There are some steps that we can take to refuel our tanks when we are running on empty. 1. Remember that it is not a sin to take a break! When I relax I often feel guilty – maybe you do as well. Did you know God wants you to enjoy yourself? 1 Timothy 6:17 says that God richly provides us with everything for our enjoyment. So take a break, smell the roses, get a pedicure and simply enjoy life every now and then – be refreshed. 3. Remember that the world won’t end if you take a break! The Lord is fully in control and “in him all things hold together.” (Colossians 1:17) Things will not fall apart if we stop for a minute to catch our breath. Some of us are exhausted because we lack the faith to believe God is in charge and He can handle things without us! When you are tired and exhausted and feel like giving up – hang on and don’t let go, no matter what! Your Abba Father will be there to wrap you in His arms and tell you how proud He is of you. Truth to Claim: It is alright to take a break, but if you can’t, God will provide the strength you need to get through the challenge you are facing. Application: Take a break when you need to and can. Memorize scripture that will provide strength when all you can do is hang on. Thank you for a timely reminder that we are allowed to take rest because God is truly in control.